Rev. Donnie and Sherry (May) Akers, of Delaware, will celebrate their 40th wedding anniversary on Sept. 30. 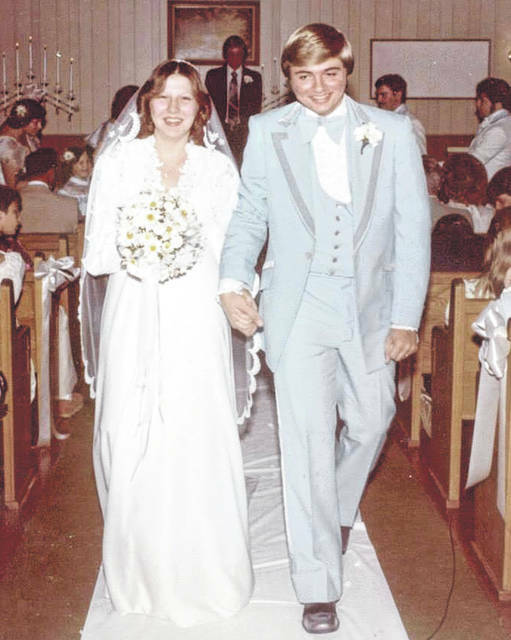 They were united in marriage on Sept. 30, 1978, at the Eastside Mission Church in Delaware. The couple, who met as kids while living on the same street, began dating when they were students at Hayes High School. They have three children: Krystal (Rob) Price, Lauren (Joshua) Keeran and Matthew (Jocelyn) Akers, all of Delaware. The couple also has three grandchildren. Mr. Akers is the pastor of the Eastside Mission Church in Delaware, and Mrs. Akers is employed at Willow Brook Christian Communities in Delaware.